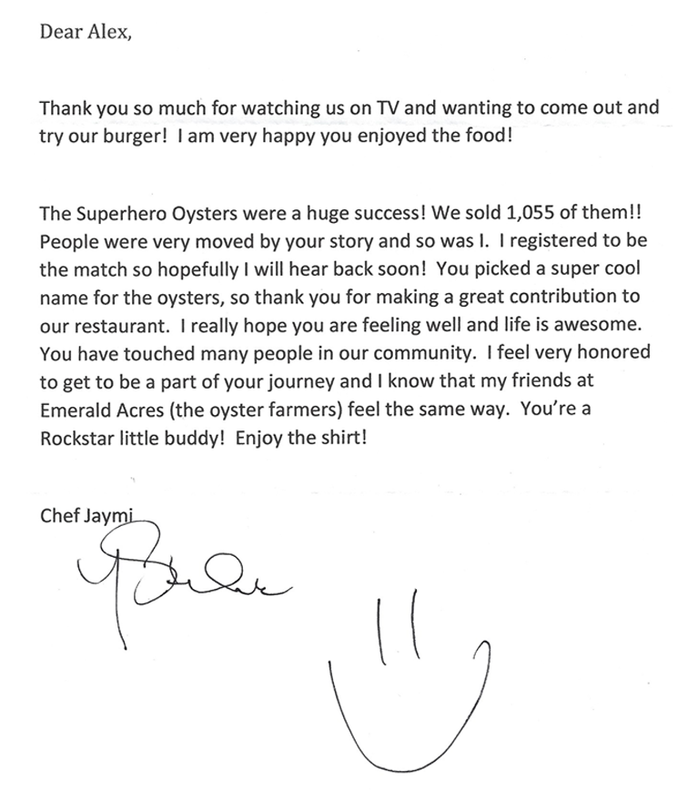 Ballard Annex hosted a fundraiser for Alex featuring Super Hero Oysters on the menu and raised $2110 during the month of April. Super Hero Oysters were their #1 seller that month and the proceeds will be donated to COTA for Alex’s transplant expenses. Many thanks to Chef Jaymi and the entire Ballard Annex staff for your efforts and support!